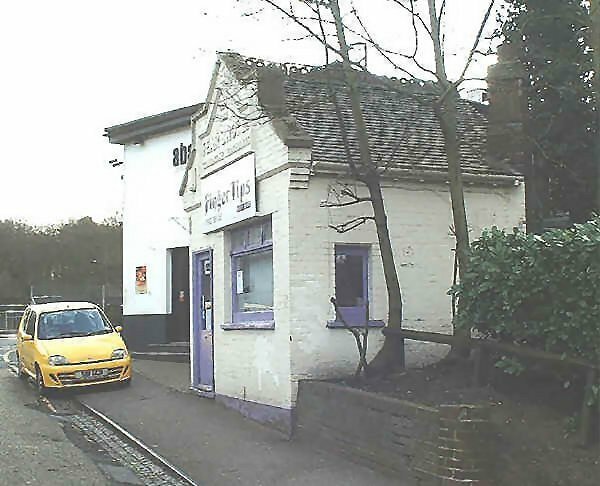 Former coal office on the approach to Weybridge station. Photograph dated 2nd March 2008. A different view of the same building 2nd March 2008. Coal offices were once common on the approach roads to commuter railway stations. They were often little more than a hut in which orders could be placed to have coal delivered to your home. The former Fear Brothers coal office on the approach to Weybridge station. Photograph dated 2nd March 2008. Final view of the former coal office near Weybridge station 2nd March 2008.